Armed Forces personnel will continue to receive one of the best and most valuable public service pensions under a new scheme proposed today by the Ministry of Defence. The scheme will also deliver on the approach set out in Lord Hutton’s Independent Public Service Pensions Commission report to reform pensions and ensure that they are more affordable and sustainable in the long-term. Changes will not affect accrued rights of those currently serving or the age at which their accrued benefits can be drawn. 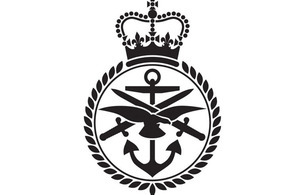 Unlike other public service pension schemes, Service personnel will still not have to make personal contributions, and will still receive a lump sum if they leave the Armed Forces at age 40 if they have served the required number of years, again unlike any other public service pension. The Normal Pension Age will be 60, whereas for other public service pensions the Normal Pension Age will be linked to the State Pension Age, which is considerably higher. The Government has had to make some tough decisions to ensure sustainable public service pensions which provide a fair deal for both Service personnel and for the taxpayer. We recognise the unique commitment made by the Armed Forces and we have done all we can to protect them and make these changes in the fairest way possible. The proposed new scheme will remain among the very best available in the public or private sector, with no individual contributions required by Service personnel. • all members of the Armed Forces Pension Scheme who were within ten years of their Normal Pension Age on 1 April 2012 will receive transitional protection and see no change in their pension age or the amount they receive at retirement. The scheme was designed after extensive consultation with over 17,500 personnel both in the UK and overseas, including in Afghanistan, Germany, Gibraltar and the Falkland Islands. There will now be a further period of consultation for personnel to make comments before the new scheme design is finalised.